Alexander Graham Bell and assistant use an electrical detector to find a bullet in the torso of ailing US President James Garfield, 1881', c1882, (1938). 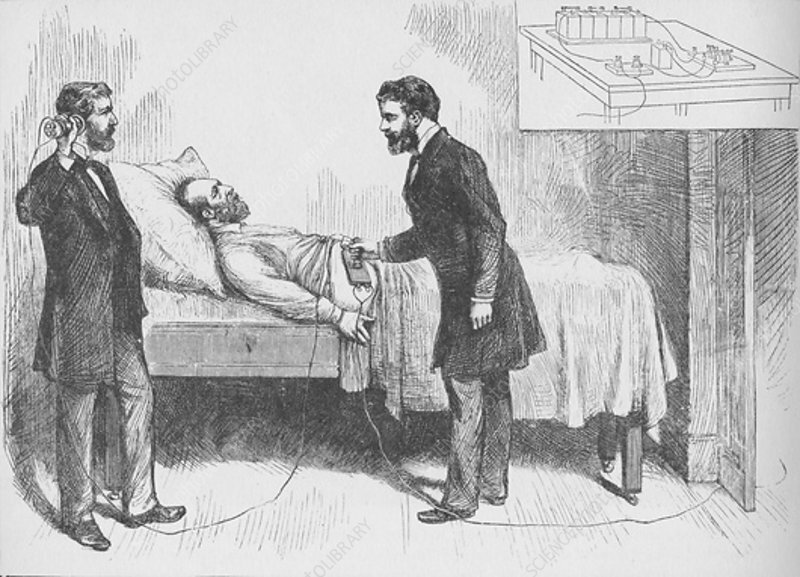 In 1881, after President Garfield had Iain for several weeks with an unlocated bullet in his torso, young Mr. Bell increased his renown by making an electrical detector which he and an assistant were permitted to apply to the suffering Executive. From Adventures of America 1857-1900, by John A. Kouwenhoven (Harper and Brothers Publishers, New York and London, 1938).